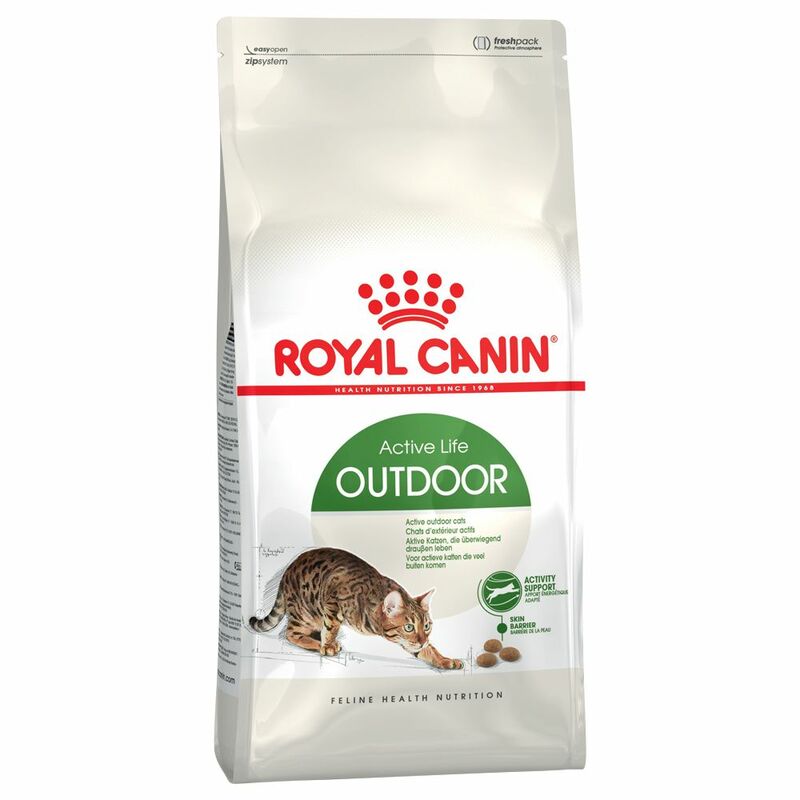 Royal Canin Outdoor Cat - 10kg plus 2kg free! Active cats who spend most of their time outdoors run a greater infections risk than indoor cats. They are influenced by their natural mating habits: looking for a mate, marking territory, fights, etc. The energy requirement of active cats is higher due to the need to regulate body temperature and varies depending on time spent outdoors, size of the territory, and seasonal changes in temperature. Royal Canin Outdoor 30 is specially formulated to meet the needs of active outdoor cats: High Energy Content: provides a high calorie supply suited to a very high energy expenditure. Supports cartilage and joints: glucosamine, chondroitine sulphate and omega 3 fatty acids (EPA/ DHA) support cartilage metabolism to aid in the joints Optimal dental hygiene: from sodium polyphosphate which binds calcium in the oral cavity and delays the formation of tartar Appropriate mineral content: for encouraging a healthy urinary tract, pH value between 6. 0 - 6.5 Immunity Support: helps strengthen natural defenses by means of a patented complex of antioxidants: vitamins E (600mg/kg) and C (300mg/kg), lutein, taurine and mannan-oligo-saccharides.